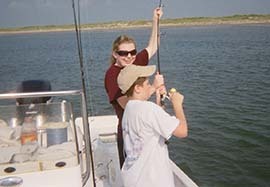 include bait ( some guides charge extra for bait). There’s no extra fees added and I will clean and package your fish for you at the end of the day. I also can not take airboat trips from Corpus Christi. We can’t cross the deep channels safely in an airboat and the area is not suitable for airboat fishing. 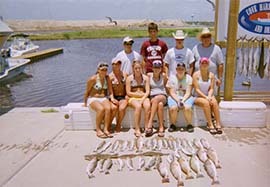 All charters from Corpus Christi are from my 24 foot Kenner. If you want an airboat trip, you’ll have to drive to Aransas Pass or Rockport. The airboat is an amazing trip. It runs on dry land and many times we are parked on the bank and fishing back lakes no one can get to without an airboat. It’s a unique trip and a lot of fun! 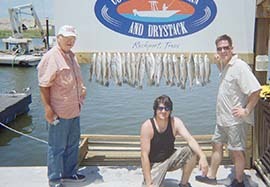 Corpus Christi fishing is always fun and usually very productive. Where we fish will depend on weather and time of year. 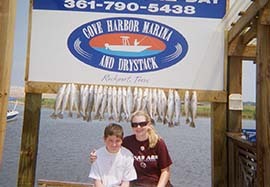 Trout, Redfish and Drum are the main fish targeted. If you’ll listen to me and let me tell you the best way to catch fish, we should do well. I can’t control Mother Nature, but I’m on the water almost every day and I keep up with the fish by staying on them and I usually know where they are.